ADMEI's Destination Management Company Accreditation program is designed to elevate professional standards and designate firms that demonstrate advanced knowledge and experience essential to the practice of destination management. 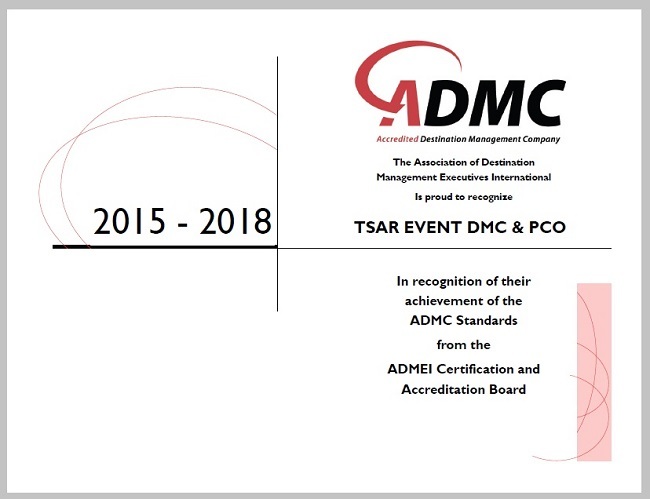 Tsar Events DMC & PCO has been recognized as meeting the standards and criteria that are indicative of the highest quality destination management service providers. The Association of Destination Management Executives International (ADME International) is the only global non-profit association dedicated to increasing the professionalism and effectiveness of destination management through education, promotion of ethical practices and availability of information to the meetings, convention and incentive travel industries, as well as the general public. ADME represents more than 200 Destination Management Companies (DMC) throughout the world. A DMC is a professional services company possessing extensive local knowledge, expertise and resources, specializing in the design and implementation of events, activities, tours, transportation and program logistics. 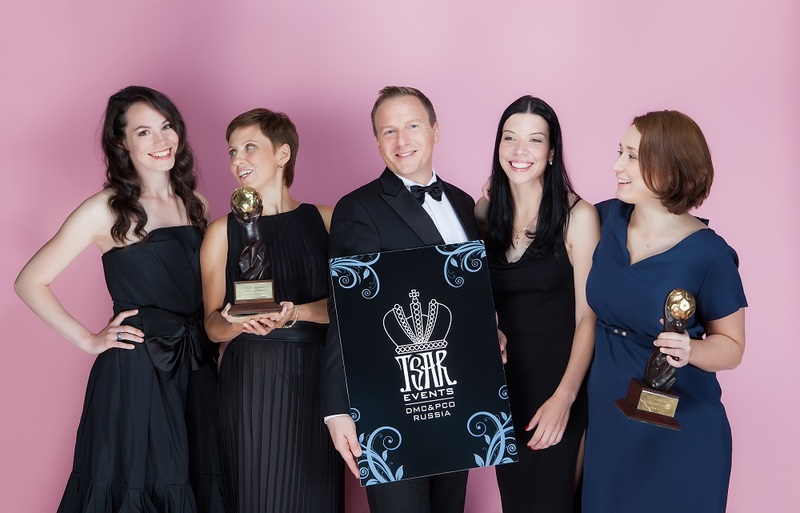 Tsar Events DMC & PCO — Russia's Leading Destination Management Company that can help you with hotel accommodation, transportation, restaurants reservations and planning your special events not only in St. Petersburg, but in all Russian cities and in Ukraine, Georgia and other countires.